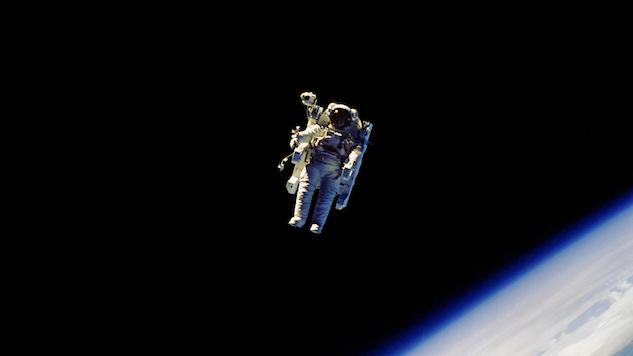 Every aspect of space travel is difficult, but perhaps the hardest is the act of walking in space. When astronauts exit the International Space Station, they’re exposed to the vacuum of space. The only thing that’s protecting them is a pressurized suit, known as an EMU (Extravehicular Mobility Unit). And now, it appears as though we’re running out of them. We’ve been using spacesuits since Mercury (the first American spacewalk occurred on Gemini 4), but the current spacesuit was designed and built for the Space Shuttle program. Of course they’ve been upgraded, modified, and refurbished since then, but the fact remains: These suits were originally designed to last fifteen years. Almost forty years later, they’re wearing out. This is a huge problem, given the timeline for the International Space Station. Right now, the ISS is scheduled to be operated through the year 2024. It’s likely that will be extended through the year 2028. And according to NASA’s own investigations and a report from the NASA Office of the Inspector General, the current plan to maintain and support the station with the spacesuits we currently have will be a real challenge. NASA’s current crop of spacesuits, or EMUs, have two different components: the Pressure Garment System, or PGS, and the Primary Life Support System, or PLSS. The PGS is responsible for maintaining pressure around the astronauts (as we need a minimum of 3 pounds per square inch of oxygen for our bodies to function), while the PLSS is basically a life-support backpack. It provides temperature control, oxygen, and scrubs carbon dioxide. The problem is, there are only 11 functional PLSSs left, out of an original 18. As a result, NASA has been pushing the limits on how long EMUs can go without maintenance. You’d think that the older the suits got, the more refurbishment they’d need to make sure they’re performing up to spec. The suits were originally authorized for a single Shuttle mission before maintenance. In 2000, that interval was extended to 1 year. That continued to increase until 2008, when the “ground maintenance interval [was] extended to 6 years, with in-flight maintenance and additional ground processing,” NASA OIG Analysis of EVA Office Information. Of course, we’re currently developing new spacesuits—in fact, NASA is working on three different programs, none of which have actually produced a spacesuit that’s ready to fly. The combined cost of these programs? Around $200 million. The problem—okay, there are many problems, but the one I’m going to focus on—is related to larger issues at NASA. The organization is unsure of what it’s doing, what its goals are, and where it’s going. Now, as I mentioned in my column about going to Mars, that’s not all the organization’s fault. Program authorizations, followed by budget cuts, mean that NASA is constantly in limbo in regard to what is actually going to happen. The organization might start developing a new spacesuit tied to a program that’s been authorized, knowing that it might never make it to fruition. That’s not a great way to commit to developing new technology, and it’s part of the reason there are three different programs to develop new suits, rather than one dedicated program. It’s not really clear what NASA is going to do about this spacesuit issue, but I will say that the organization is incredibly good at making hardware last far beyond its original use date. The problem is that these spacesuits are already so old—while many people might think spacesuits are custom made for the user, they’re not. These are old, cobbled together EMUs. Astronauts swap out arms and legs to make them fit, but we’ve got to figure out a better solution, and fast, in order to ensure we can continue to maintain the ISS over the course of its life. Swapna Krishna is a freelance writer, editor and giant space/sci-fi geek.